Taking us back to the early 1990's we see the next installment of the Air Jordan 6 Retro, this time it takes a form of a Comic Book. It is sealed with images and cartoon characters from the famous Comic Series straight from Japan the SLAM DUNK manga. The shoe will be Hunted by many enthusiast since the Box will also be as unique as the sneakers, and will have signature sketches from the famous Comic Artist Takehiko Inoue. So lets get up and personal with this RETRO 6's, and check out their inspiration and history which helps make it a Hot Coming release. 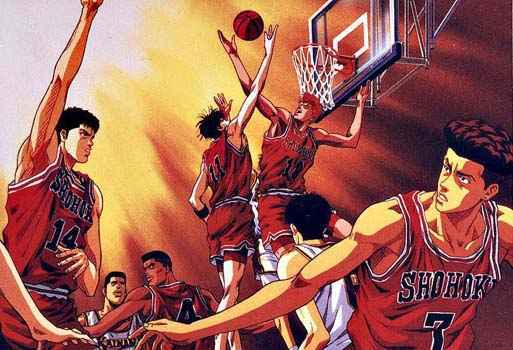 As some may remember Japan's very own artist Takehiko Inoue created the Slam Dunk Series. It was a comic story line illustrated by JUMP COMICS from 1990-1996. The plot was set by a Basketball team who wore a replica uniform copying the CHICAGO bulls, and the players also rocked Jordan sneakers in every volume, the team played for a high school called Shōhoku, and the main character Hanamichi Sakuragi, rocks the Air Jordan 6. Hence the reason for picking this shoe to pay tribute to the legend comic story. It also hit records like selling 120 Million copies in Japan alone, making it the best selling manga series. Till this day the SLAM DUNK Comic gets credits, for making Japan a fan of the game of Basketball. This shoes got people going I need "Mine Is Now" so if your interested come pick up your tickets and may the Luck be on your side. Check out our PRIVATE DETAIL, remember to LIKE, SHARE, & COMMENT, Stay Fresh ! Sold by Raffle Distribution Only Available on Men $250, raffling ends Friday October 31, 2014 at 12 Noon. Winners will be called Friday evening between 4pm-6pm.